Today, organizations are under pressure to increase the agility of their supply chain to be able to plan, monitor, and respond to ever-changing market conditions. By connecting data, people, plans, and networks across the enterprise, your business’ supply chain can enable true visibility, improve margins, and drive down costs. With high customer expectations, global supply risks, and intense competition, organizations face more volatility every day. And even with the digitization of information and advanced innovation in technologies ushered in by Industry 4.0 (also known as the fourth industrial revolution), traditional linear supply chains can’t keep up. What’s the solution? A “connected” supply chain, which is made up of dynamic, tightly integrated digital supply networks. By connecting data, people, plans, and networks, savvy enterprises can reap the rewards of greater transparency and enhanced collaboration. 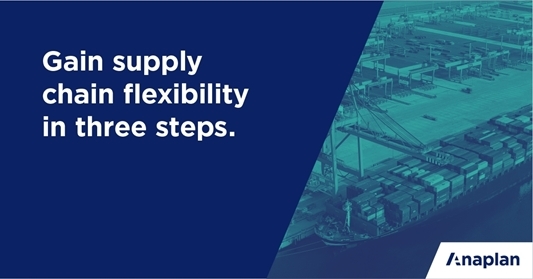 A connected supply chain requires new ways of linking physical and digital assets—a transition that results in improved agility, efficiency, and cost competitiveness. This paper explores how organizations can enable business readiness and drive growth with the connected supply chain of tomorrow. Download this white paper in PDF.